NORTH CAROLINA -- A Lexington woman faces animal cruelty charges after authorities said two neglected dogs and a dead Chihuahua were found at her home. 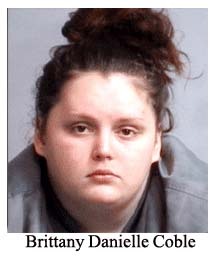 The Lexington Dispatch reported that 22-year-old Brittany Danielle Coble was arrested Wednesday on cruelty to animal charges. Officials said the suspect was arrested after a Lexington animal control officer responded to an animal welfare check at a home in the 100 block of Hillcrest Court on Jan.22. Authorities said the officer found a dead Chihuahua in the yard, chained to a pole and lying in a dog box. Police said the suspect told animal control that the dead dog belonged to her. 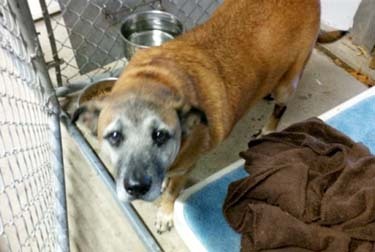 The officer also reportedly found two other dogs, both in need of medical attention. The dogs were seized by police, who in turn signed them over to Gingers Fund, a program designed to help neglected animals. Police said the deceased dog was taken to Davidson Animal Hospital for an examination. 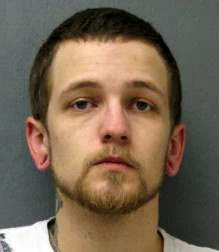 Warrants allege that the suspect kept the dog in cold weather and failed to feed and give it proper medical attention. The suspect was jailed under a $5,000 unsecured bond and has court planned for Feb. 27. COLORADO -- More than 40 cats and three dogs -- some injured or ill -- have been seized from "deplorable" conditions in a Colorado Springs home that authorities have condemned. "The conditions of the house were deplorable. Furniture was piled up, feces and urine staining were widespread, and the ammonia levels were 20 to 50 times higher than deemed safe," according to a news release from the Humane Society of the Pikes Peak Region. The owner of the cats and dogs, Debra Minor, has been charged with cruelty to animals, the Humane Society said. 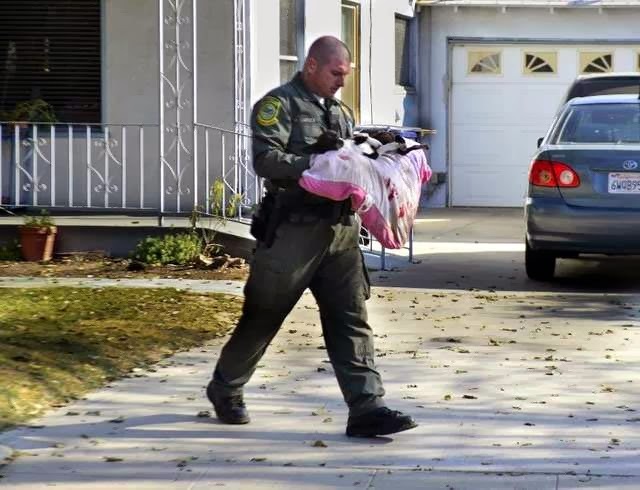 After spending weeks gathering evidence, Humane Society law enforcement officers executed a warrant authorizing them to remove the cats and dogs from the home. Ten staff members, including seven officers and a veterinarian, spent four hours inside the house in central Colorado Springs rescuing the ailing pets. "The cats had sought shelter in all corners throughout the three levels of the home. 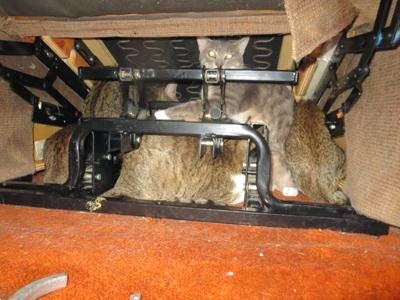 Some of the cats were caught inside the walls, requiring significant rescue efforts," the Humane Society said. Of the three dogs rescued, a Chihuahua had a fractured thighbone that had not been treated and that had healed improperly, the Humane Society said. 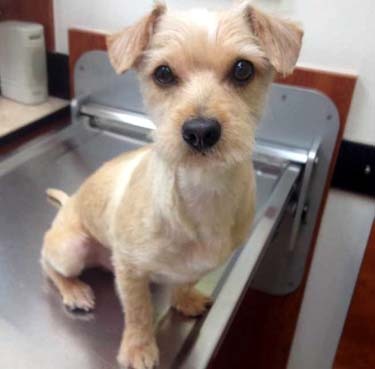 Veterinarians are assessing the best course of treatment for the dog. The cats were brought back to the Humane Society and given immediate medical attention. 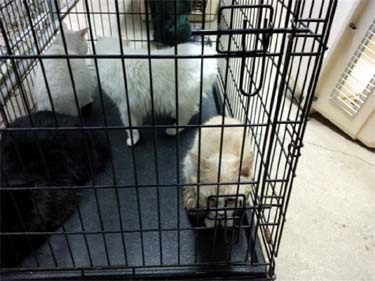 Many of the cats were treated for upper respiratory infections, and many have additional medical problems, including severe dental disease, officials said. All of the cats also underwent testing for feline leukemia and feline immunodeficiency virus. Twelve of the cats are available for adoption. Many of the other cats, as well as the three dogs, are still undergoing medical treatment. The cost to the Humane Society for providing necessary care and preparing the animals for adoption is estimated at $9,800. 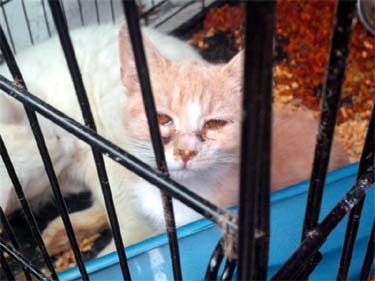 To find out more about how to help, visit www.hsppr.org/hoarding. INDIANA -- The head of Indianapolis Animal Care and Control will serve a two day, unpaid suspension for his actions during a sweep of animal shelters and businesses on January 15, Call 6 Investigator Kara Kenney reported. 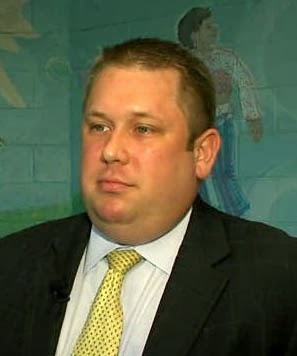 Dan Shackle, administrator for Indianapolis Animal Care and Control, will be on suspension on Monday and Tuesday. Al Larsen, spokesperson for the Department of Public Safety, said Shackle notified two of the 23 locations in advance of the sweep. 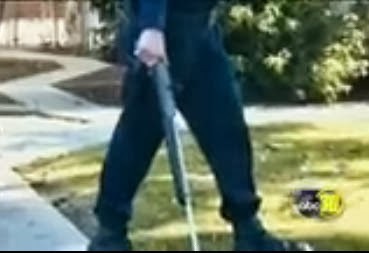 The Department of Public Safety conducted a review after they learned that some organizations may have received a “heads up” on the multi-agency sweep, which included the Department of Code Enforcement. Shackle told Kenney he gave the Humane Society of Indianapolis and the Southside Animal Shelter a heads up the sweep was coming. Shackle said the organizations are working together to make sure animals get out alive. “We’ve done inspections for a number of years and will continue to do them,” said Shackle. NEW YORK -- A Brant Lake man who formerly served as Horicon’s town justice and animal control officer was charged Monday night with neglecting a dog, police said. Joseph B. Dooris, 54, of Pease Hill Road was charged with misdemeanor neglect of an animal and a non-criminal count of failure to provide appropriate shelter for dogs, according to the State Police public information website. 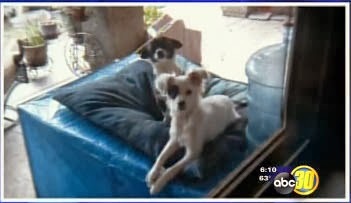 The charges stem from complaints that Dooris left two mixed breed dogs outside for days at a time in inadequate plastic shelters and without fresh food or water. Food and water found with the animals had been frozen for as long as five days, authorities said. State Police received a complaint about the dogs’ situation on Jan. 23, and troopers worked with Queensbury Animal Control Officer Jim Fitzgerald. Dooris surrendered the dogs to Fitzgerald. Fitzgerald said the dogs have some medical problems but are expected to recover. They were being treated at Glens Falls Animal Hospital. Dooris was arraigned Monday night and released pending prosecution in Horicon Town Court. Dooris served as Horicon’s animal control officer for a period of years in the 1990s, and was town justice between 1990 and 1996. He also was a Horicon town councilman for several years, until he lost a bid for re-election in 2011. Dooris could not be reached for comment Tuesday. No listed phone number could be found for him. CALIFORNIA -- The woman suspected of stabbing and choking a cat death earlier this year at her boyfriend’s Orcutt home has yet to enter a plea to an animal cruelty charge stemming from the alleged attack on the feline. Nellie Palacios, 43, made her second out-of-court appearance Tuesday in the case since her Jan. 2 arrest by sheriff’s deputies on suspicion of burglary and animal cruelty. She has been charged with one felony count of animal cruelty and appeared before Superior Court Judge John McGregor for further arraignment but didn’t enter a plea to the charge, according to the District Attorney’s Office. The hearing was continued to 8:30 a.m. Feb. 11. Deputies responded to an Orcutt residence on Jan. 2 after a man at the home called 911, alleging his girlfriend, Palacios, went inside the house and began removing paintings off the wall. 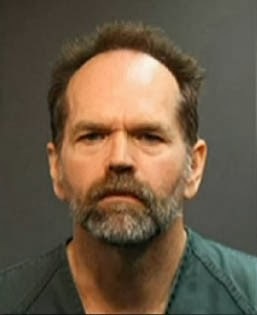 He also reported seeing her choking and stabbing a cat with a large knife, according to the Santa Barbara County Sheriff’s Department. Palacios was in the yard when deputies arrived and reportedly told officers the cat, which died from stab wounds, attacked her and she acted in self-defense. Deputies found the cat inside an Igloo-style doghouse in the yard and a kitchen knife covered in blood and cat fur under the doghouse, according to the Sheriff’s Department. McGregor released Palacios from custody earlier this month with the condition that she take court-ordered, doctor-prescribed medication. 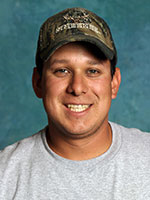 If convicted of animal cruelty, Palacios faces a maximum sentence of one year in jail and a fine of up to $20,000. 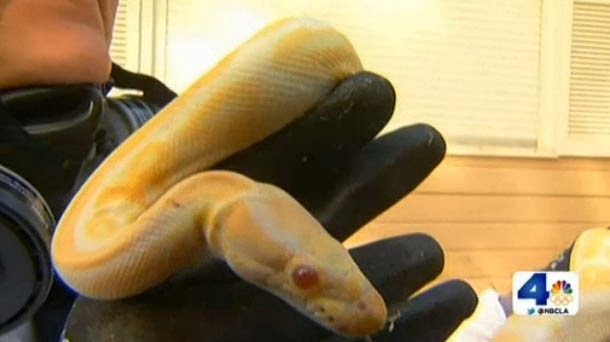 CALIFORNIA -- An elementary school teacher was arrested on suspicion of animal cruelty Wednesday after police found hundreds of mostly dead and dying ball pythons in his Santa Ana home, animal services officials said. 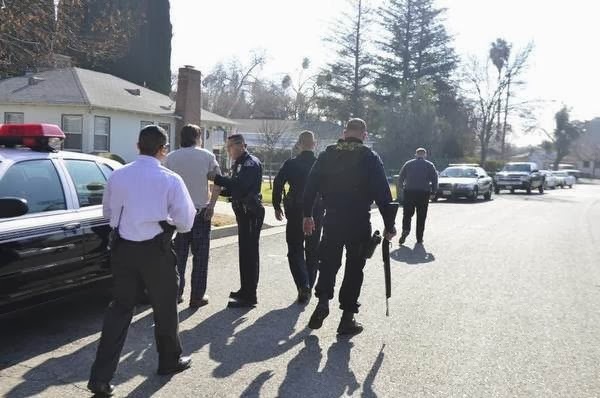 William Fredrick Buchman, a sixth grade teacher at Mariners Elementary School in Newport Beach, was taken into custody after police served a search warrant at his home, authorities said. A substitute teacher has been called in to cover Buchman's class "until he resolves his personal matter," said Laura Boss, a spokeswoman for the Newport-Mesa Unified School District, in a statement. Shelly Rooney, a parent at Mariners, said Buchman has been a wonderful teacher at Mariners. "I personally requested him as a teacher for the six years my son attended Mariners never having been granted him as a teacher," she said in an email to NBC4. "Mr. Buchman has always been a caring teacher and one who I would gladly be a character witness if called to do so." Three years ago when his mother died, he broke down and cried when Rooney offered her condolences to him, she said. She was also an educator and would go to the school and read to the students in his class, Rooney said. "His mother was a strong presence in his life," Rooney said. 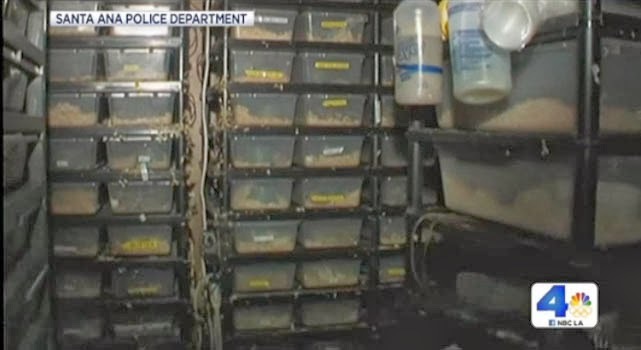 Up to 400 snakes and snake carcasses were found in cages throughout the home in an environment that Santa Ana police said smelled "god-awful." More than half of the snakes were found dead, police said. They had not been fed and were covered in mites, police said. Animal services officers wore special suits and masks to process the scene. "There are all forms of decay," said Sondra Berg, an animal services supervisor at the Santa Ana Police Department. "From skeletons to just dead in the last few days. There is an infestation of rats and mice. They are running loose all over the house. There are rats and mice in plastic storage tubs that are actually canabalizing each other." The front four rooms of the home were packed floor to ceiling with snake cages, officials said. Buchman was breeding the ball pythons to sell them, officials said. The home, in the 2900 block of North Fernwood Drive, was also infested with mice and rats, police said. Animal control first received complaints about the home one year ago when neighbors suspected Buchman was breeding snakes. 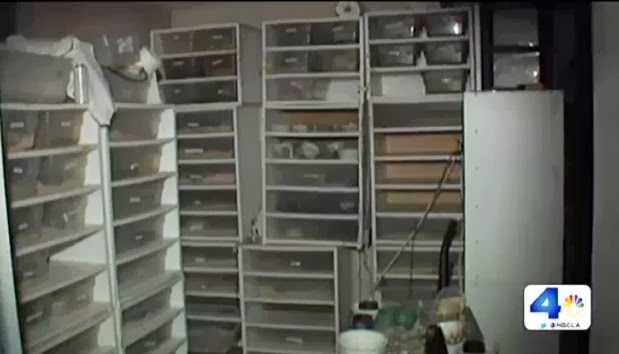 At the time the snakes were healthy and animal services did not have a violation to allow them to seize the animals. Four months ago, police and animal services were notified of a dead body smell coming from the home. After it was determined that it was actually a dead animal smell, animal services sought Buchman's cooperation to allow for a search of the home. When he refused, a warrant was obtained. "This is a major case of neglect," said Sam Makki, executive director of Reptile Rescue Orange County. "It is all very sad. These snakes are completely harmless and make great pets, but it is clear that the owner hardly provided any care for them." Ball pythons are known for being docile. They rarely bite and curl into a tight ball when threatened. While there used to be a market for these animals oversaturation has caused prices for ball pythons to drop from $1,500 to $200. 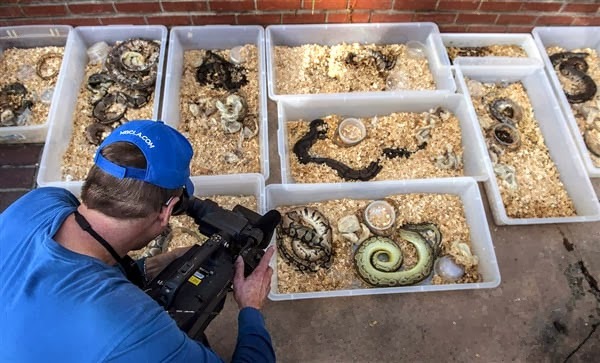 The surviving snakes from Buchman's home are being transported to a veterinary hospital where they will be given necessary medication and nourishment. "I think in the end we will be able to find some loving homes for these snakes," Makki said. "They just need some love and care." 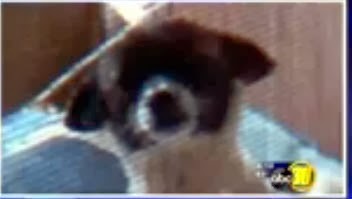 Georgia: Chihuahua shot by male teenager with pellet gun. Neighbor says he shot her cat as well. GEORGIA -- An Athens-Clarke County neighborhood is on edge after multiple cats were killed and a dog wounded by a teenager with a pellet gun, residents say. Tammy Evans said her Chihuahua named "Jo Jo" was shot twice on Monday. "The little boy came from the side of the trailer and shot him with a pellet gun," Evans said. 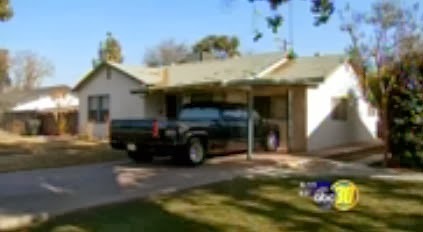 "After he shot him, he ran back to his grandmother's house. It is real bad for me. It is awful that he is going around here shooting other people's animals." 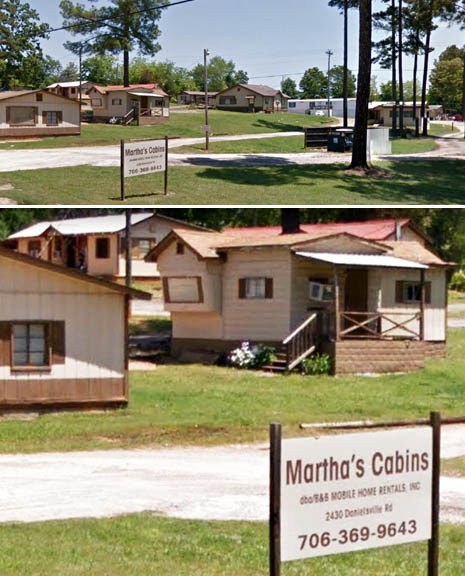 The shooting happened at the Martha's Cabins trailer park on Danielsville Road. During the interview, the 17 year old who Evans said shot her dog came back to the area near her home. 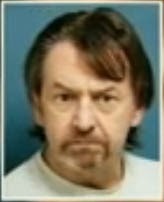 The teen was off the property of the trailer park when CBS Atlanta's Mike Paluska approached and asked if he had shot and killed any dogs or cats. "I didn't shoot no cats, or dogs," the teen yelled. It's like the arsonist who sticks around to watch the firefighters putting out the fire. They want to be involved and see what's happening with the crime they committed. After denying the accusations, Athens-Clarke County Police arrived and took a statement from Evans. "I wish he would stop killing animals, and I wish they could do something about him," Evans said. "That is sick, it is cruelty to animals. Why would you want to hurt a puppy? A little Chihuahua doesn't bother anyone." Evans' neighbor Becky Harris said she filed a police report a couple months ago on the teen after he shot her cat. It wasn't the first time Harris said one of her cats has been shot by the pellet gun. "He need to be stopped. I have had six cats killed around here," Harris said. Police said once the police report is filed a detective will follow up with Evans about her Chihuahua getting shot. 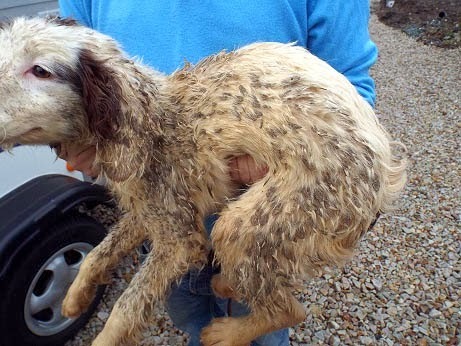 UNITED KINGDOM -- Almost 30 puppies in need of help have been removed from a property in Lifford, Co. Donegal. The situation initially came to light when the owner of the animals made contact with Donegal Pet Rescue requesting assistance in rehoming a number of dogs. Eleven dogs were surrendered at this time. 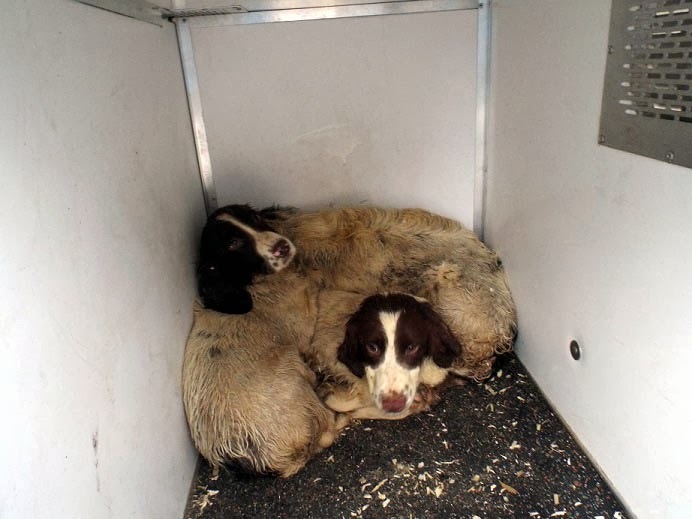 Further investigations by Inspector Kevin McGinley resulted in a further 17 Springer Spaniels being handed over to the ISPCA. Most of the dogs involved were aged between 3 and 6 months. They were living in unsanitary conditions and had not received adequate socialization. "We believe that ill-health caused failings in the management of the dogs, resulting in unrestricted breeding” said the Inspector McGinley. “It appears that there was an explosion in the number of dogs in a relatively short period of time and the owners were unable to cope. Thankfully, they sought help before the situation deteriorated further”. Mr McGinley said the man now has five dogs that he is able to care for, but the ISPCA would carry out regular inspections "just to make sure standards are being kept up". INDIANA -- The call volume is increasing at Indy Animal Care and Control as the temperature continues to plummet. Officers say their run count goes up considerably during dangerously cold weather, Monday was no exception. Animal Control Officer, Austin Webb, went on multiple weather related calls. He took in five stray animals that had been left outside. “There are of course those people that don’t feel their animals need to come inside and they’re fine outside, but for the most part people seem to realize that it’s too cold for the animals to be outside,” said Webb. Indy Animal Care and Control was just as busy when Indianapolis experienced dangerously cold temperatures back in the beginning of January. 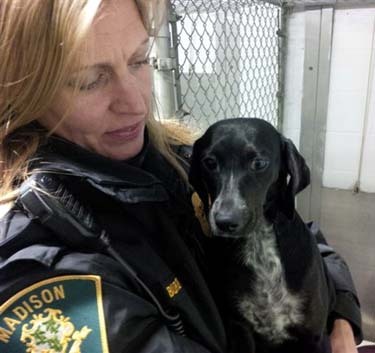 During that time officers took in 17 animals for emergency shelter and issued 71 citations. Veterinarians are encouraging pet owners to bring their animals inside. Dr. Greg Borlick said frostbite can set in quickly, especially with small dogs that have short coats. He also encourages pet owners to shovel a path for their dog to go outside. “We also will see dogs that will sometimes limp after being in temperatures this freezing so if you’re dog is limping right after being outside just wipe their paws off with a dry towel,” said Dr. Greg Borlick with Cottage Animal Clinic of Carmel. If you suspect an animal is being left outside call Indy Animal Care and Control at 317-327-4622. MICHIGAN -- Most animal hoarders have good intentions. In fact, the reason they end up with so many dogs or cats usually is because they have a great love for their pets. The problem is that it doesn’t take long for the situation to get out of control, especially with cats because of their prolific breeding habits. That apparently was the situation with a resident of the 1000 block of Cora, who after her recent death left behind 35 cats that were rescued Tuesday by Downriver Central Animal Control. Aaron Bertera, lead animal control officer, said he was called in by family members who went to the house to clean it up, but could not do anything with the cats. One issue Bertera had to deal with was where to take so many cats. The consolidated animal control operation takes in animals from Southgate, Wyandotte, Allen Park and Lincoln Park. The Downriver Central Animal Control Agency is set up so that surrendered or lost animals are taken to the Southgate facility, but are adopted out of the Wyandotte animal shelter, which is now known as the Wyandotte Animal Adoption Center. 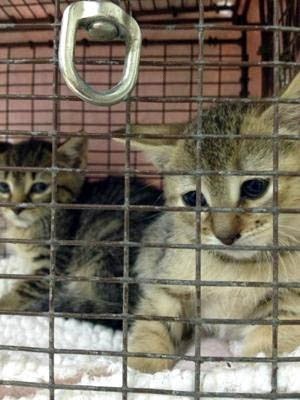 Bertera said the cats had to be taken to several shelters so as to not “completely overrun” any one particular shelter. 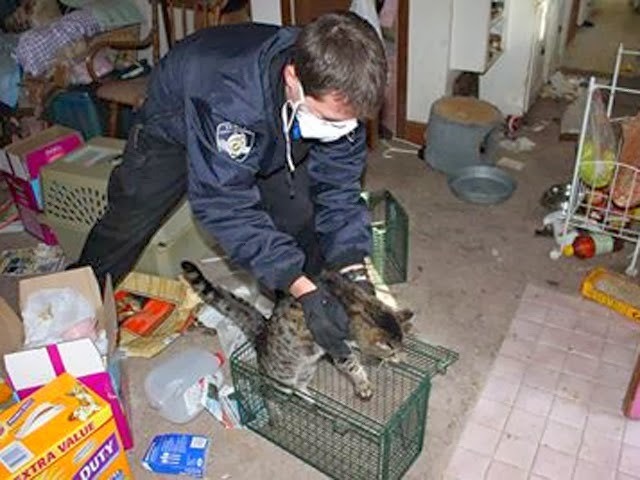 He said Brownstown Township assisted in capturing them, but he also is working with the Wyandotte Animal Adoption Center, Brownstown Animal Control, Woodhaven Animal Control, and the Wyandotte-based rescue group Shelter to Home to house the cats and help place them. The rescued cats range in age from just a few days old to senior cats of about 22 years of age. Demonstrating the feline practice of abundantly reproducing their species, one of the rescued cats gave birth to seven kittens on Wednesday. Bertera said he and others involved in the rescue are still in the process of assessing the cats, some of which are socialized, others not so much. He said that in cases of cats that can’t be socialized, they’re sometimes sent to rural areas to become barn cats. However, he said that probably is not practical with these cats because they have been raised indoors and may have limited abilities to catch mice and rats. The hope, Bertera said, is to euthanize as few as possible. For more information on how to adopt these animals, contact Downriver Central Animal Control at 1-734-246-1328. 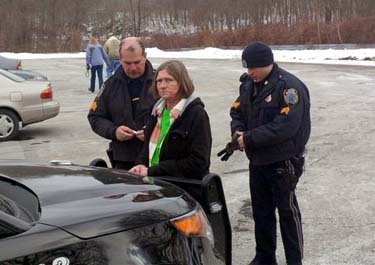 CONNECTICUT -- A Georgia woman was arrested in Madison over the weekend by Animal Control Officers from the Connecticut Agriculture Department. 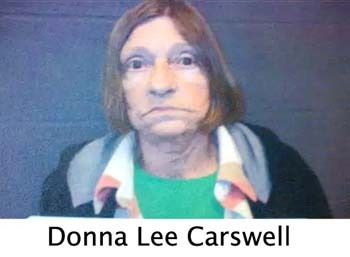 Commissioner Steven Reviczky says Donna Lee Carswell, 64, of Grovetown, Georgia, faces animal cruelty and other charges. 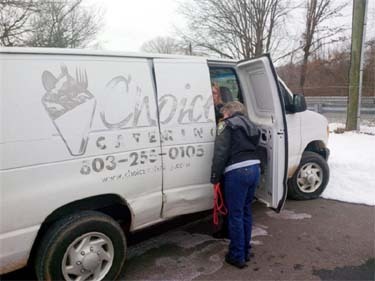 Reviczky says consumers and the Rhode Island State Veterinarian had complained that Carswell’s “Nick of Time” animal rescue business was providing sick animals for adoption with Connecticut and Rhode Island residents. Authorities set up a sting, pretending to be purchasing a dog from her, making the transaction at a commuter parking lot in Madison. When she arrived, the officers seized ten cats and two dogs, all showing signs of respiratory distress. They were being transported in feces- and urine-covered enclosures. The animals were taken to a veterinarian to be examined, and two cats were so ill they were euthanized. 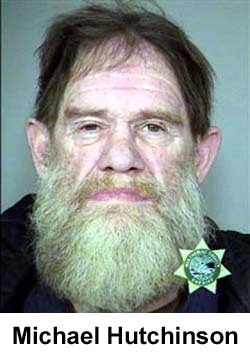 Carswell is charged with twelve counts of cruelty to animals, twelve counts of failing to have official interstate animal health certificates, failure to register as an animal importer, failure to notify the Department of Agriculture of an animal adoption event, operating a pet shop without a license, and failure to have animals examined by a veterinarian prior to adoption. TEXAS -- A second Houston-area man has been charged after a stray black cat apparently was throw into the air and then fatally shot. The Harris County Sheriff's Office on Tuesday announced 18-year-old Alexander Marsh of League City faces a felony animal cruelty charge in Saturday's killing. Marsh was not immediately taken into custody. Deputies initially charged 24-year-old Joseph Morgan of Highlands with cruelty to animals-torture with a firearm. A deputy found the cat's body near the San Jacinto River after getting a complaint about a gunshot and a report that Morgan was responsible. 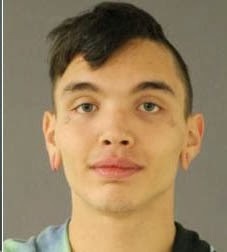 Investigators say Morgan told them he found a stray, sick cat that needed to be euthanized, so he threw the animal into the air and opened fire with a shotgun loaded with birdshot. 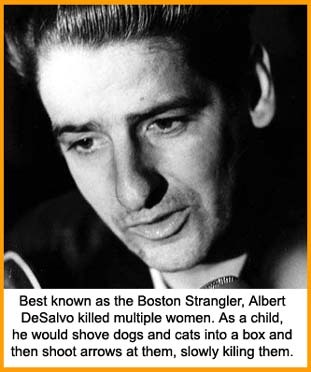 Another article stated...The cat was blasted about 20 feet through the air, hit the ground, and reportedly struggled for some time before finally dying. Morgan has not denied any of the above, however, he told deputies that the act was one of compassion, that the pair had found an old, sick stray cat, and decided to euthanize him using the shotgun method. He later told a somewhat different story – that he could not afford to take the cat to a vet for treatment of an eye injury. 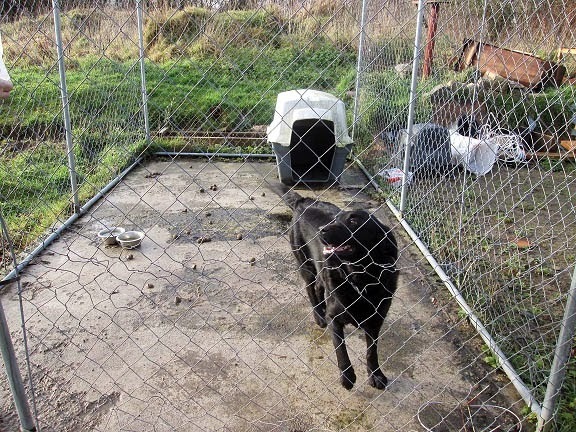 UNITED KINGDOM -- ISPCA Inspector Elaine Whyte is investigating the circumstances surrounding the apparent abandonment of a female black Labrador removed from property near Kells, Co. Meath. A concerned neighbour contacted the charity’s National Animal Helpline reporting that the owners had moved out three weeks previously and a dog had been left at the property. The neighbour had been looking after the dog in the meantime prior to contacting the ISPCA for assistance. An investigation was immediately begun and it was possible to prove that nobody other than the ISPCA and the concerned neighbour attended to the dog for a further three days. The dog was then taken into the care of the ISPCA. Unfortunately the dog was not microchipped and, despite the efforts of Inspector Whyte, the Meath Dog Warden and local Gardaí, efforts to locate a potential owner have thus far been unsuccessful. “It appears that the dog is another casualty of the recession”, said Inspector Whyte, “where the owners have just moved on due to financial difficulties. Luckily the dog is in good condition and once all avenues are exhausted regarding ownership she will be neutered and put up for rehoming”. OREGON -- A man is in jail after allegedly shooting and killing his neighbor’s dog with a pellet gun. Michael Hutchinson, 59, was arrested on first-degree animal abuse charges after a small terrier named Marley was killed at a home on SE Harney Street. She said she never had a problem with Hutchinson. However, she said, she had a cat a few years ago that was also shot and killed in the neighborhood. 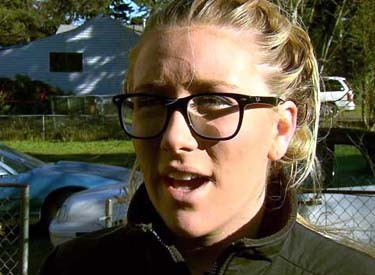 Court documents obtained by KOIN 6 News reveal after the dog was let outside around 12:30, its owner came back outside to check on Marley and saw him coming from the backyard with a limp. Deputy District Attorney Nicole Jergovic, who prosecutes the county’s animal abuse cases, wrote in court documents that Marley limped over, sat down and then died within a few minutes. Marley’s family told police that they suspected Hutchinson as the shooter because he has been upset because Marley has chased the nutria around the property and they know Hutchinson has a pellet rifle that he uses to kill large rats that live in the yard, court documents state. When contacted by police, Hutchinson told police that he was shooting nutria and admitted to shooting the dog. But, police said he said the dog had been shot three days earlier. Officers confronted Hutchinson about his statements. Eventually, Hutchinson admitted to shooting the dog. “The defendant admitted he was mad at Marley for chasing one of the wild Nutria that the defendant feeds and said he shot [Marley] from a distance of about 24-feet,” court documents state. Hutchinson has been charged with one count each of aggravated animal abuse, first-degree animal abuse, theft possession of a loaded firearm and discharging a firearm within city limits. He appeared in court on Friday where a not guilty plea was entered on his behalf by a court appointed attorney. He is expected back in court in February. TEXAS -- Investigators with the Harris County Sheriff's Office are looking for a League City man accused in the shooting death of a cat. Alexander Marsh, 18, faces a felony charge of cruelty of an animal, along with Joseph D. Morgan, 24, of Highlands. Morgan is in custody. Marsh is not. The charges stem from an incident on Saturday. Investigators were called to the San Jacinto River on reports of gunfire. When they got there, they were told that Morgan had shot a black cat with a rifle. The deputy reported to have found the cat's body near the riverbank. The deputy interviewed Morgan who reportedly told him that he found the stray, sick cat that needed to be euthanized, so he threw it in the air and using a shotgun with bird shot, opened fire. Marsh reportedly participated as well. The cat's body was located near the riverbank. If you know where Marsh may be, you're asked to contact the Harris County Sheriff's Office. 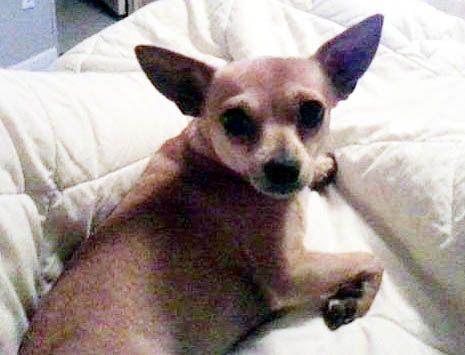 CALIFORNIA -- Leticia Davis walked outside Tuesday morning and found her dog Nike had been shot. She picked up the motionless Chihuahua and noticed he was covered in blood. Moments later, the Tulare woman remembered her neighbor had been yelling threats at her dog late Monday night, she said. 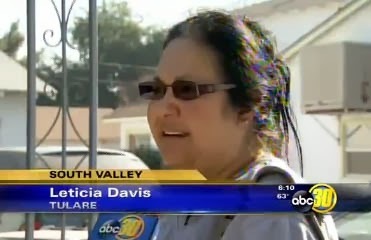 Davis immediately called her husband and then called police. Detectives arrived just after 10 a.m. Tuesday and found Nike in the backyard. 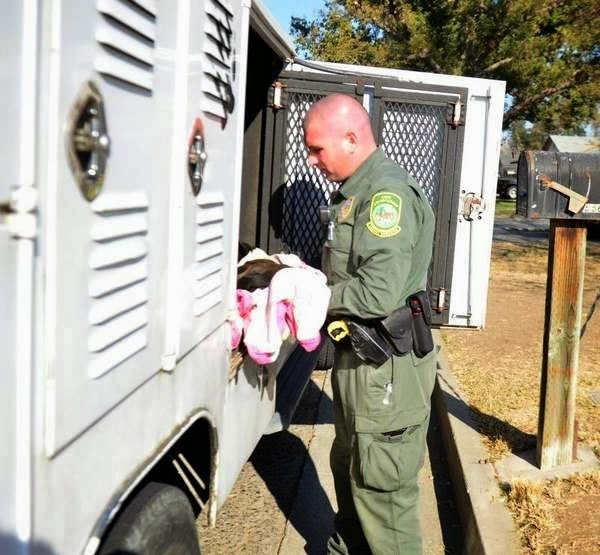 Michael Capote, an animal control officer, picked Nike up gently and walked him to an Animal Service Truck. “We have to get him out of here. He isn’t doing well,” he said. Nike, who was almost 2, died Tuesday afternoon. Davis told detectives that her neighbor, Bryan Guy Martin, 48, of Tulare, had been outside Monday night yelling at the dog for barking. She believes Martin shot Nike sometime overnight. 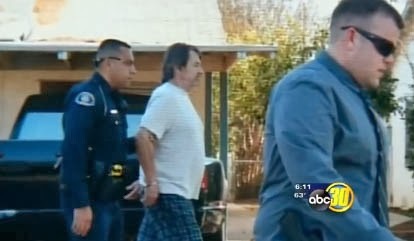 Detectives knocked on Martin’s door in the 500 block of Bonita Street in Tulare. Martin said he had wondered why police were outside his house. After nearly half an hour of questioning Martin inside the home and searching the backyard, police arrested him. Before being walked outside, he yelled to police that he didn’t do anything. Officers also found a pellet gun, which they believe was used to kill Nike. Tulare police Sgt. 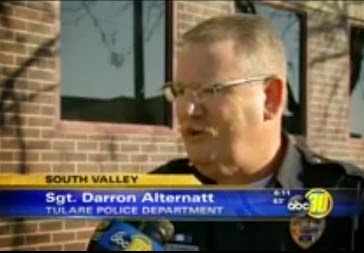 Darron Altermatt, said Martin was booked at the Main Jail in Visalia. Detectives from the violent crimes unit recommended felony animal cruelty charges, which carry a state prison sentence, if convicted. Davis said she was worried for her three other dogs at home. She and her family had just moved in six months ago. UPDATE: The owner, Sonn Kent Berrett, has been charged with cruelty to animals. 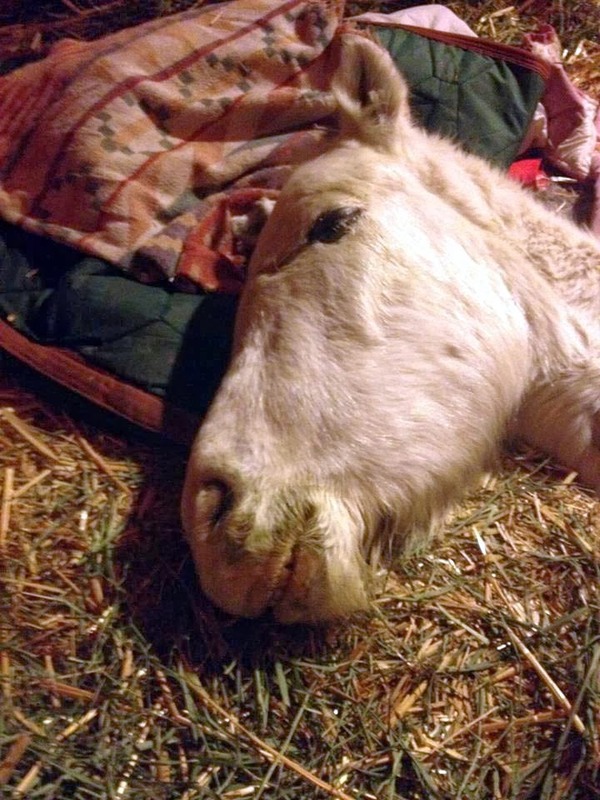 UTAH -- An Enoch City man faces animal cruelty charges after officers rescued two horses from freezing conditions. Animal control officers say it’s one of the worst cases they’ve seen. 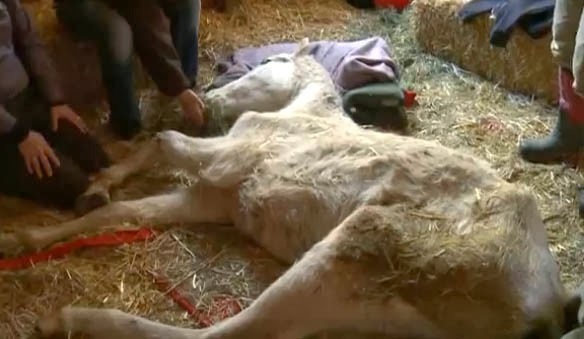 Officers received the call Thursday afternoon, and found the 1-year-old horse on its side, stuck to the frozen ground. Her mother, just as malnourished was nearby. 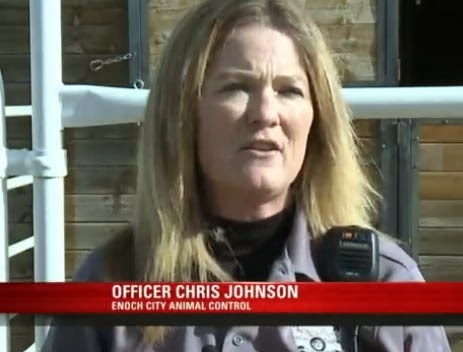 Animal Control officer Chris Johnson said it was one of the worst cases she’s seen. 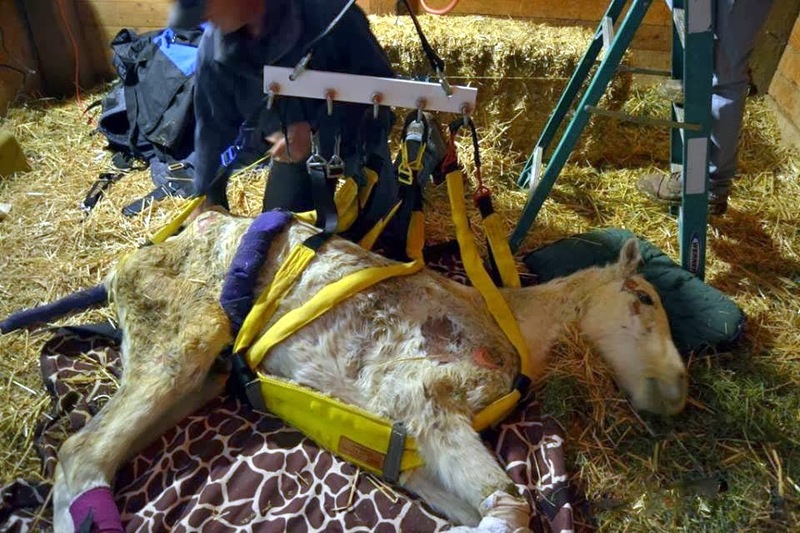 Rescuers had to pry the young horse from the ground and carry her to a trailer. Veterinarians use a 10-point scale to describe the animals’ malnourishment — both the mother and the young horse scored a one. Animal control took the horses to Dust Devil Ranch Horse Sanctuary in Cedar City for recovery. 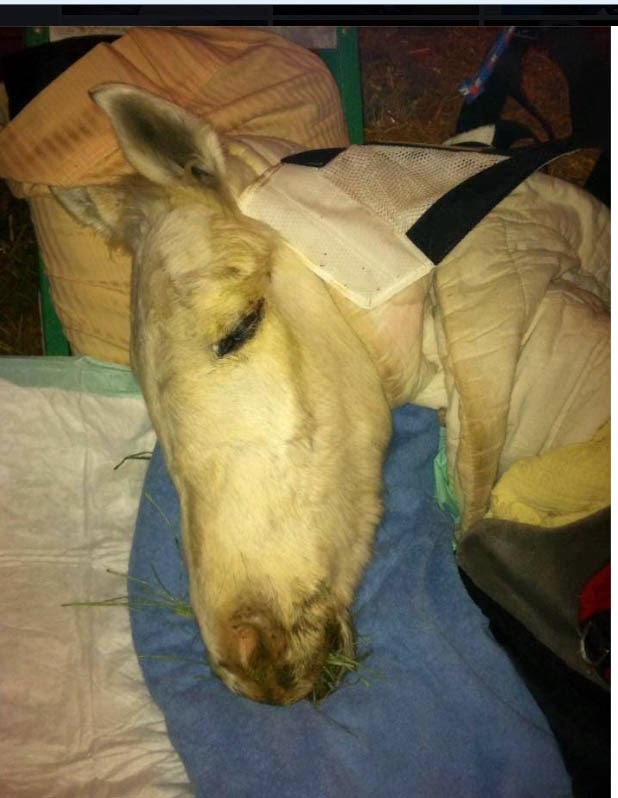 Founder Ginger Grimes said the young horse needs 24-hour care and spent the first two nights with her. 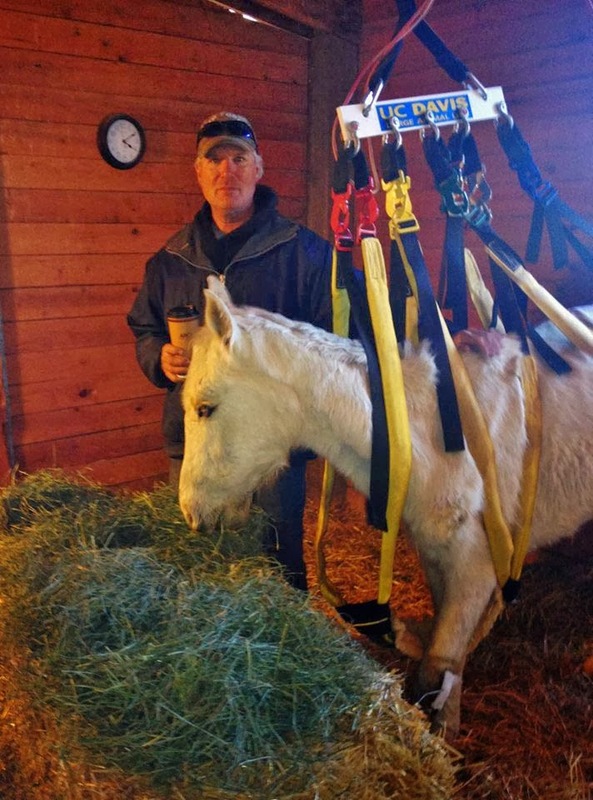 Grimes said the young horse, which they’ve affectionately called Elsa, has made significant recovery, but admits things could change quickly. Elsa is still very underweight, and has damage to her eye from being frozen in the ground. The mother, whom they call Anna, is in better condition and frequent visits lift the yearling’s spirits. The two were the only livestock at the property and officials say it appears to be an extreme case of animal neglect. The investigation is ongoing, but Johnson said they do plan to charge the owner of those horses with two counts of animal neglect. 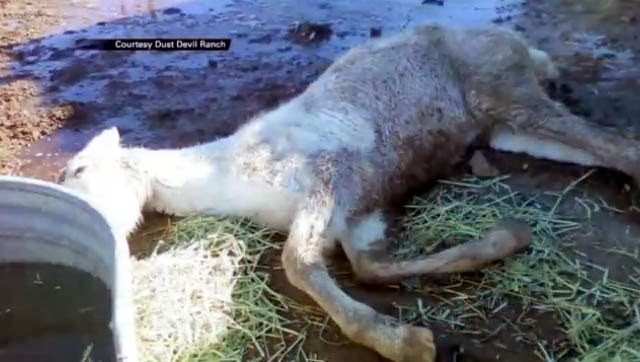 Dust Devil Ranch updates the condition of the two horses on their Facebook page.